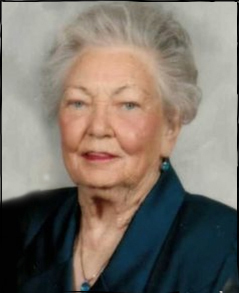 Billie Faye Hisey, 83, passed away Wednesday, April 16, 2014 in Winter Haven, FL. Born in Burkett, TX, Billie loved Christmas decorating and was known as "Mrs. Christmas". She was a member of Lake Ashton Veterans Association Auxiliary and MILWIT Winnebago Club. Surviving are her husband of 55 years, Howard "Al" Hisey of Winter Haven, FL; children, Connie (Michael) DeWald, and Jimmie (Laura) Hisey both of Fort Wayne; grandchildren, Kevin (Kim) DeWald, Michelle (Chad) Sutton, Marisa Hisey, and 3 in Florida; and 5 great-grandchildren, Billie was preceded in death by her brother, Breuster Pearce. Service is 10:30 am Thursday April 24, 2014 at St. John's Lutheran Church, Lake Township, 7914 W. Cook Rd. with Rev. Ralph Easterhaus officiating, calling 1 hour prior. Calling also 4 to 8 pm Wednesday at the church. Burial in Covington Memorial Gardens. Memorials may be made to the Leukemia & Lymphoma Society, Alpha-1 Association or St. John's Lutheran Church building fund. Arrangements by D.O. McComb & Sons Pine Valley Park Funeral Home. To sign the online guest book, go to www.domccombandsons.com.